Marion Cropley was one of the thousands of British children evacuated during the Second World War. Her wartime experiences are unusual because she spent the war in Canada, and kept a diary recording her life there. Her diaries, which were transferred to the Norfolk Record Office a few years ago, make fascinating reading. Marion was born in 1927 in Norwich. In 1940, her mother applied to the Children’s Overseas Reception Board for her to be evacuated overseas. Marion was one of around 3,000 children who were sent abroad. Aged 13, she sailed on board the SS Duchess of York, arriving in Halifax on 19 August 1940. 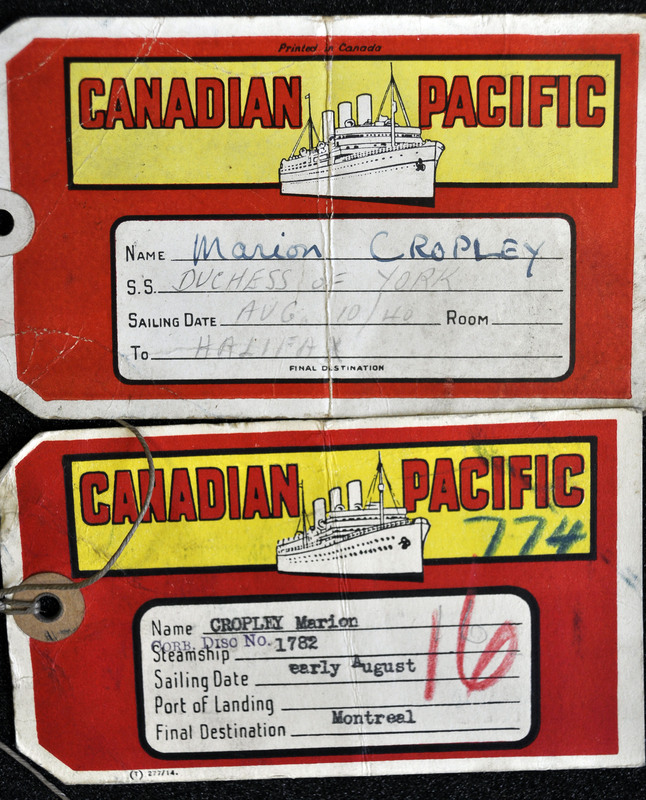 As well as the diaries, Marion preserved many souvenirs of her life in Canada, including her metal bicycle licence, her luggage labels and her name badge from the voyage, and two photograph albums. After a few weeks in Toronto, she was sent to stay with Mr and Mrs Frederick Excell at the town of Niagara Falls in Ontario, and remained with them for the duration of the war. 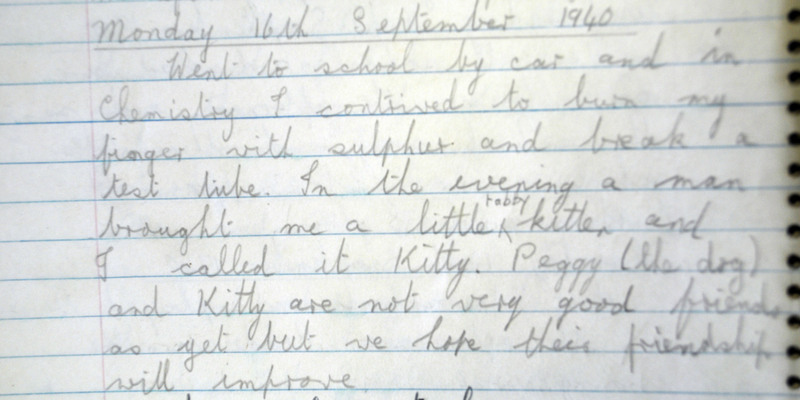 Her diaries describe school activities and her social life (she made many friends and enjoyed swimming, dancing and frequent trips to the cinema). There are also accounts of special events such as Christmas celebrations, outings and fundraising campaigns for the war effort. She carefully records the arrival of letters from home. She talks of the novelty of deep snow and skating in the winter, trips to Ottawa and Toronto, and even of seeing Churchill, who made a brief trip to Niagara Falls during his 1943 visit to Canada to meet the US President. 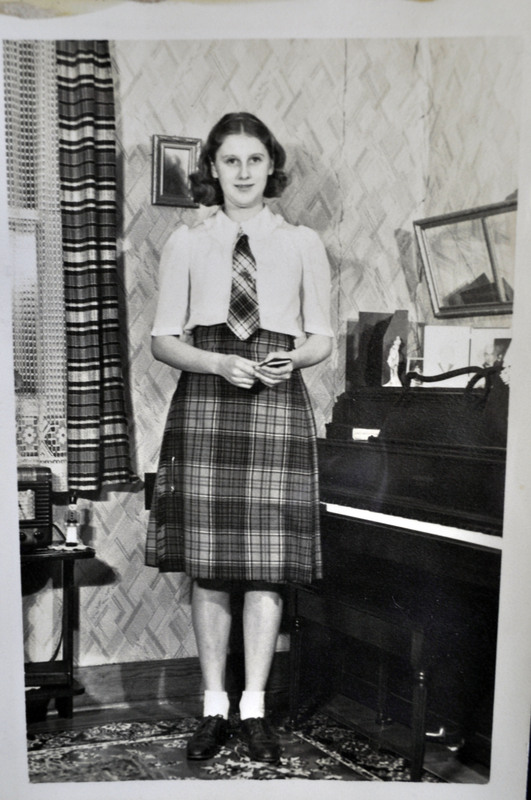 This photograph from 1942 shows Marion in the kilt which her mother sent her for Christmas 1941. After graduating from Stamford Collegiate Vocational Institute at Niagara Falls, Marion worked in the offices of the Dominion Chain Company. Returning to England in August 1945, she worked for an insurance firm, and married in 1948. She lived in Norwich and nearby Framingham Earl for the rest of her life. Marion continued to keep a diary until a few years before she died, although many volumes covering the middle and later years of her life are missing. Her diaries are currently being catalogued; the catalogue should be available within the next few months for the public to view at the Norfolk Record Office (reference MC 3139). 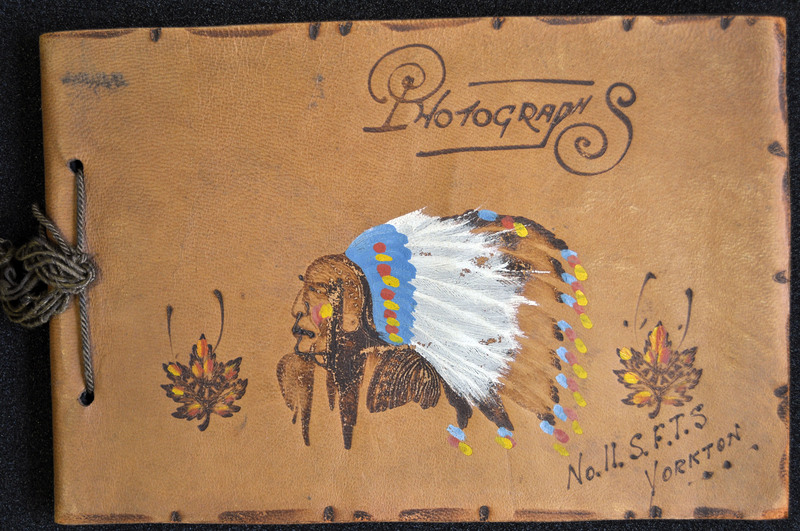 There are still some places left on our free children’s half term activity ‘Dream Catchers and Headdresses’ which is based on this beautiful front cover of one of Marion’s photograph albums. For more information read this Eventbrite page, but booking is now only possible by phone so please ring 01603 222599. 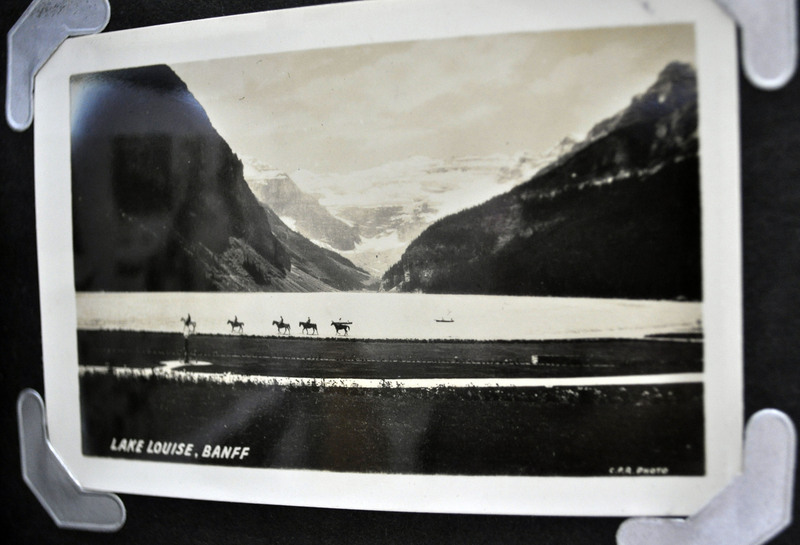 This entry was posted in Snapshots from the Archive and tagged canada, churchill, diary, evacuees, indigenous, photograph albums, Second World War. Bookmark the permalink.